Kevin Gosnell in his Hanover home. HANOVER — Here’s the kind of guy Kevin Gosnell is. Each year he compiled a “dreams list.’’ There are only so many hours in a day, so many days in a year, so he asked himself: What can I accomplish? Who can I help? This is a man who met his wife, Kathy, on his first day of college at Framingham State in 1986. They fell in love, got married, and built a life together centered around their three sons. Always an entrepreneur — a record of success that stretches from youthful lemonade stands to an asphalt firm he’s built into a $25 million business — Gosnell studied leadership. And then he led. So when he felt a pain in his calf on Columbus Day weekend in 2014 — away with his boys for a getaway in North Conway, N.H. — he dismissed it and endured good-natured ribbing from his sons about how out of shape he’d become. Then, during a family vacation around Christmastime, the pain moved to his hamstring. He was out of breath, could barely carry the luggage, and silent-and-urgent alarm bells began ringing in his head. By April, Kevin and Kathy Gosnell were praying for a diagnosis few would: Let’s hope it’s a brain tumor. Instead, by last May, Gosnell learned he had ALS, amyotrophic lateral sclerosis. That’s the neurodegenerative disease commonly known as Lou Gehrig’s disease. It has no cure. For 47-year-old Kevin Gosnell, that’s unacceptable. When he told his employees, they gasped. When he told his kids — waiting until his oldest son, Scott, could enjoy his senior prom and the rituals accompanying high school graduation — there were tears around the kitchen table and a firm resolve from the boys to be there for a dad who’d always been there for them. Then Gosnell got to work. He said: “I put one question up on the wall: Why? Why has it been 74 years since Lou Gehrig died and we have no treatment?’’ He aimed to find out. He concluded that the research and fund-raising are largely done in splintered silos. 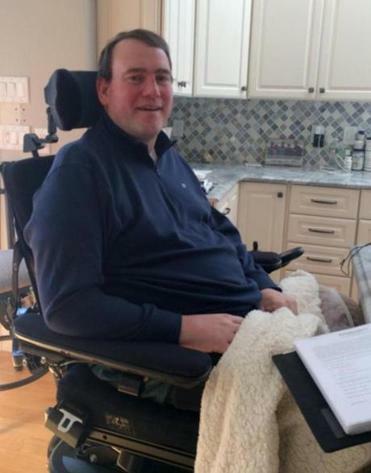 For the 15,000 Americans living with ALS, a disease that kills 7,000 yearly in the United States, that has to change. He invited leading researchers to a meeting last year at Mass. General and was as surprised as they were when they all showed up. Gosnell has founded something called ALS Knights to unite friends and family of ALS patients to raise money and encourage research. More than 1,000 people have signed up so far and in 90 days, $650,000 has been raised. In July, Gosnell traveled to Medjugorje, where in 1981 the Blessed Virgin Mary was said to have appeared before six local children. In that hill town in the former Yugoslavia, he prayed for days. They say God works in mysterious ways. But Kevin Gosnell is the exception that proves the rule. There is no mystery here. Gosnell is doing what he has done all his life. It’s what he plans to do with what precious little life he has left. He’s working hard. He’s leading by example. He has no time for self-pity. Instead, he’s inspiring the disease’s leading researchers. It’s his gift to ALS victims to follow. But more than that, it’s a gift to his family, a poignant testament that three young sons will forever carry with them about their courageous dad, a leader until the end.